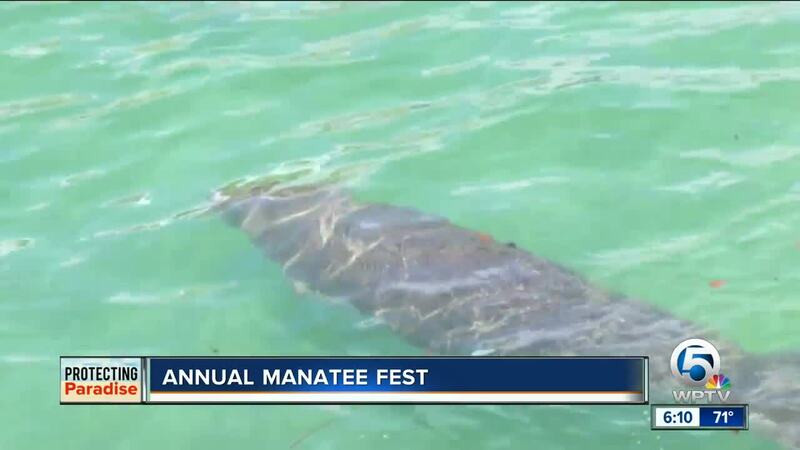 RIVIERA BEACH, Fla. -- The annual Manatee Fest brought out hundreds on Saturday looking to catch a glimpse of the sea cows. It was a tough year for manatees. The Florida Fish and Wildlife Conservation Commission says 779 died last year compared to 538 in 2017. Brittany Balcer of FPL says, "So it's very important to obey boat speeding laws during this time. Be very mindful when you see them in the water, when you see one of those swirls in the water that you're paying attention." FWC though says despite the increased number of deaths, they estimate an increased number of live manatees swimming in state waters anywhere from 7,500 to 10,000. That's why events like this are important to entertain but also educate. "We're able to get the community out here. Bring in environmental exhibitors and vendors who have similar missions to ours and really educate the public," Balcer said. The outflow area of the lagoon has warmer water, draws in the manatees.